It's mind blowing to think that this film was Guillermo del Toro's debut film as it is so artfully made and fully realized. This film would also introduce Del Toro's dark Gothic aesthetic and flair for the grotesque. Cronos (1993) concerns itself with the idea of immorality and the harm it can cause to those who seek it. A kindly antique dealer named Jesus Gris (Federico Luppi) unknowingly has a statue in his shop that hides a 450-year-old mechanical gold scarab. This scarab has a mysterious insect-like being inside of it that exudes a life-giving liquid in exchange for human blood. These properties also pique the interest of a dying rich business man who sends his thuggish nephew Angel (Ron Perlman) to get the scarab by any means necessary. Del Toro uses the idea of immortality to craft a take on the vampire myth, but in a more subtle manner. Jesus eventually succumbs to the temptation of eternal youth that the scarab provides, but at the same time he tries to maintain his humanity. The businessman also has this same desire, but his motivation is more selfish as he just wants to stay alive to keep all of his wealth to himself. Ironically, he wastes the last years of his life searching for ways to prolong it. Jesus just enjoys his newfound vitality and uses it to spend more time with his wife and adopted daughter. Unfortunately, like most things, there is a catch and to get life one must take the life from another. This movie is gorgeously filmed and is quite unsettling at times. There are also moments of wry humor that Del Toro inserts via quirky characteristics, such as Angel wanting a nose job (and always getting his nose broken somehow) or the undertaker character who is a little too into his work. These touches make the film seem more human and ultimately believable. This is an outstanding first effort and Del Toro only improves from here on out. The Devil's Backbone (2001) is an elegant and horrifying ghost story that has Del Toro's trademark mix of brutality and compassion. It's set in the last year of The Spanish Civil War at an isolated orphanage. The orphanage is run by Carmen (Marisa Paredes) an older woman who is the administrator and Dr. Casares (Federico Luupi) who is the official medical caretaker. 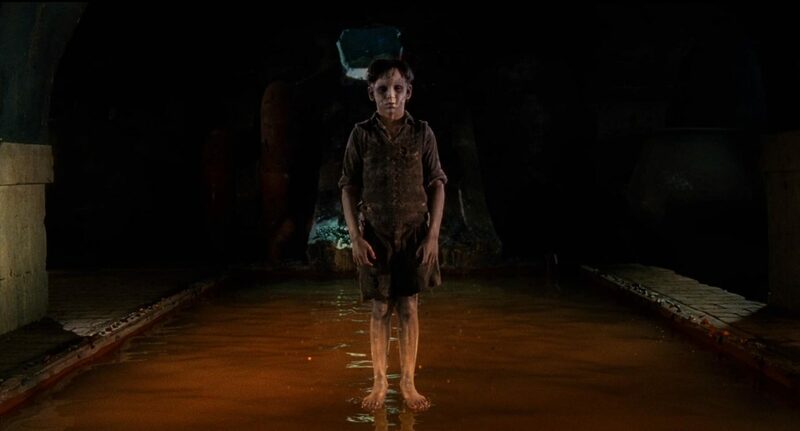 Most of the narrative centers around Carlos (Fernando Tielve) and young boy who is dropped off at the orphanage at the beginning of the movie. As he adjusts to his new life there, he encounters a ghostly presence that takes the form of a small child and it's up to him to solve the mystery of his existence. On the grounds of the orphanage there is a diffused bomb that was dropped from an earlier air raid. This bomb is symbolic of the subtext of the entire film which is the concept of impotence and wasted potential. Dr. Casares is in love with Carmen but due to his age is unable to satisfy her sexually and instead serenades her with beautiful poetry. In his office he keeps deformed fetuses suspended in an amber preserving liquid, a visual reminder of lives tragically cut short. This allegory extends to the ghost as well as he is also the victim of circumstance, doomed to exist in purgatory until his revenge is accomplished. Feelings of melancholy and regret permeate every facet of this film which makes the third act that much more poignant. The design of the ghost boy Santi is one of Del Toro's best and he manages to be both creepy and sympathetic and the same time. He looks like a broken porcelain doll and a plume of blood emanates from the corner of his forehead like a ribbon fluttering in the wind. The effect is incredibly haunting and anytime the Santi is on screen the film seems like its holding its breath least the phantasm be dissipated into the night air. Del Toro infused the color palette of the film with dusky amber and rich browns giving everything a vintage and Gothic feel. 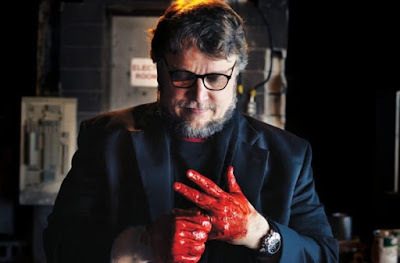 Del Toro loves to explore the nature of evil and he often utilizes the contrast between beauty and ugliness to make his point. Often times, corruption can hide underneath the surface of something that is visually attractive not unlike an apple that looks perfect but hides a rotten core. The main villain of The Devil's Backbone, a handsome groundskeeper named Jacinto (Eduardo Noriega) conceals a mean-streak under his good-looking exterior. 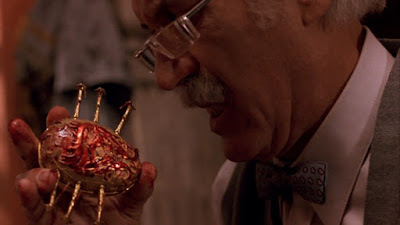 Del Toro will explore this idea again in his later film Pan's Labyrinth (2006). The Devil's Backbone is one of Del Toro's most fully realized works and his personal favorite. This is the film that put Guillermo del Toro on the map as it was a critical and box office hit. It's a spiritual successor to The Devil's Backbone (2001) and it takes place around five years after the end of the Spanish Civil War under the rule of military dictator Francisco Franco. We follow the adventures of a young girl named Ofelia (Ivana Baquero) who, along her with sickly pregnant mother, has come to live with her new stepfather Captain Vidal (Sergi Lopez). Vidal is an fascist who does not have any sympathy for his fellow human beings and lives under the shadow of his much more revered father. Pan's Labyrinth (2006) is a dark fantasy, a fairy tale for adults. Ofelia believes that she is the reincarnation of a princess from a magical land, and throughout the film she sees fantastical creatures and sights that confirm her suspicions. This narrative coexists with the harrowing reality that the characters are forced to face under Vidal's sociopathic actions. These ideas also play into the Mexican tradition of utilizing magical realism. Fairy tales of old were designed to be scary as they were meant to be morality lessons for children. Modern interpretations, such as the Disney films, tend to sanitize the more unsavory elements. This is one of the reasons I love Del Toro so much, as he isn't afraid to explore transgressive themes in his filmography. 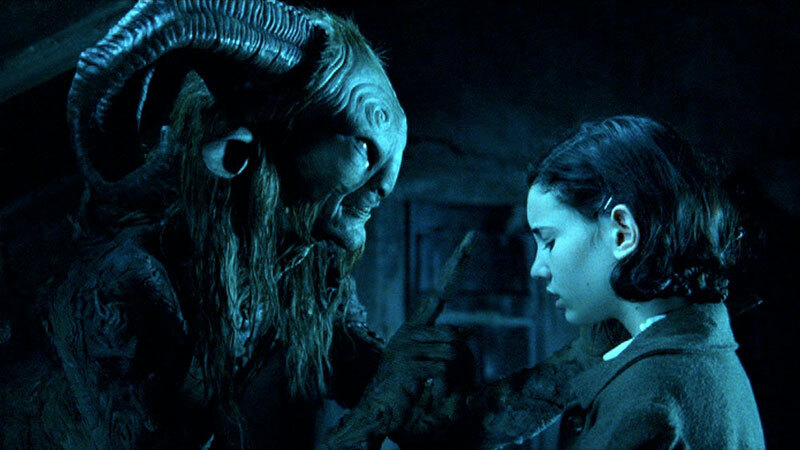 The visuals in Pan's Labyrinth are fantastic and much of it uses practical effects with small CGI enhancements. Doug Jones, an incredible physical actor, plays the titular Faun and imbues him with this creaky, otherworldly body movement that makes him feel real. Jones even learned all his lines in Spanish for the role! The Faun (who is not named Pan, by the way) is an intriguing character as he is Chaotic Neutral and it's hard to decipher whether he has Ofelia's best interests in mind. Every character has so much personality and creativity poured into them and it really cements the moody fantasy atmosphere. The musical score by Javier Navarrete is especially haunting and the main theme is memorable. As this is a fable, the characters are more archetypes than fully fleshed out people and this may be a negative to some viewers who crave more exposition from their films. I find that this approach gives the film a more whimsical feel in line with classic fantasy tales. Ofelia represents the idea of childlike wonder and innocence that can be destroyed by life experiences and the passage of time. The duality of imagination and cold reality can even be applied to the ending which can be viewed as happy or sad depending on one's perception of the events prior. Either way, the journey is gorgeous and the destination is heavenly. As the famous Slaughterhouse-Five quote goes: "Everything was beautiful, and nothing hurt."